SPES project organized its final conference in Vienna to present the results achieved and the experiences collected during implementation of the activities. 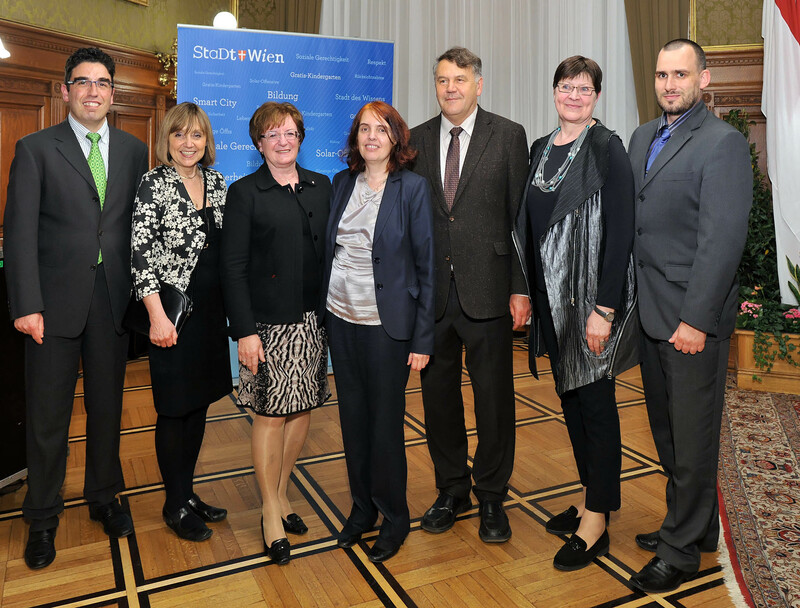 The event was hosted in the “Vienna City Hall” with the active support of the City of Vienna. 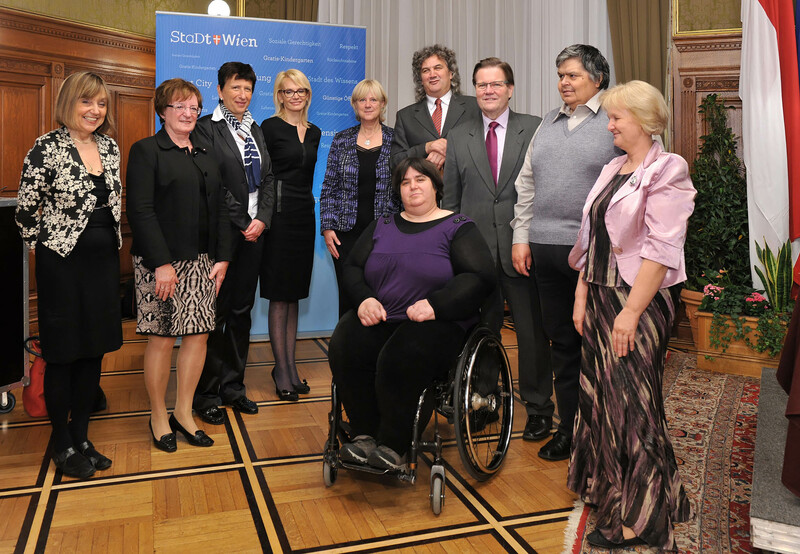 The event was introduced by Ms. Olga Štěpánková, who welcomed the politicians and experts who attended the conference. The partners welcomed the participants in the six languages of the project partners (English, Italian, German, Slovak, Czech and French). Mr. Lubor Jusko from the Joint Technical Secretariat of the Central Europe Programme, presented the Programme, highlighting the attention that the European Commission, through its programmes, is paying to the problem of the Demographic Changes in Europe. More efforts, in the near future, will be made by the Commission, to face this problem. 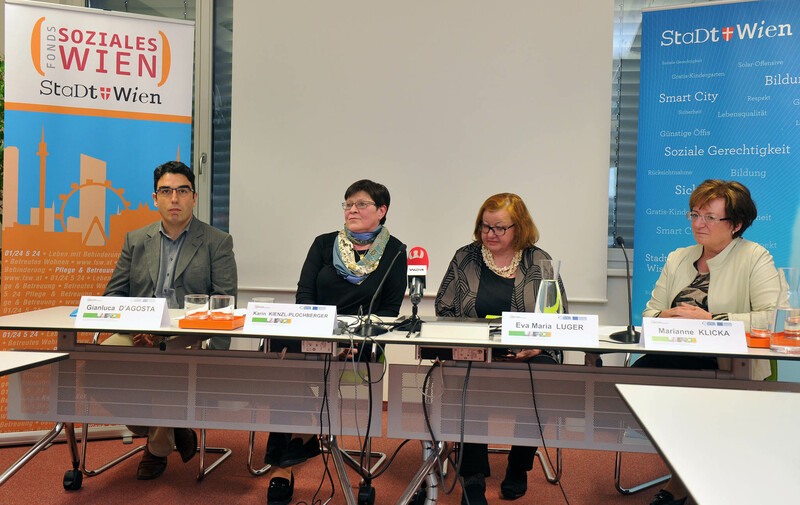 Ms. Marianne Klicka, the Third President of the Viennese Provincial Parliament, welcomed the participants and expressed the interest of the City of Vienna in projects that help people, in particular people suffering of several diseases, in living their life in a better way. Mr. Gianluca D’Agosta, as project leader from ENEA, provided the attendees with an overall vision of the project and its activities. He provided the facts related to SPES, like the large number of patients involved in the experimentation and the wide range of diseases that the project has faced also highlighting results and difficulties that the project ran up against during its implementation. Ms. Anna Wanka, from the Department of Sociology of the University of Vienna, provided some suggestions on approaching patients, in particular elders, with technologies and new tools. She provided some “clues” to enter this world and to understand the behaviours that people may have in approaching the technology. After the coffee break, Mr. Matias de la Calle, Mr. Štefan Daňo, Mr. Štefan Vorálek and Ms. Christine Petioky as representatives of the partners leading the 4 pilots presented their activities and results, also providing the first feedback from the involved patients that is, in general, really positive. They illustrated the approaches applied during the project and the technologies used to solve specific challenges. The presentation of the activities closed with the final promotional video realised to spread the results and the SPES themes. After the lunch break, Mr. Gianluca D’Agosta provided a look on the results and experiences collected in networking with other initiatives in the field of telemedicine. Despite the interest expressed by several organization and by the European Commission, he highlighted the fact that few efforts have been made by local Governments to face the demographic change and, sometimes, these efforts are not coordinated by a common vision of the problem. In particular, he highlighted the fact that despite privacy problem, telemedicine and teleassistance also may help people move across countries among Europe and may reduce barriers to this movement: at the moment the lack of a common legislative framework does not allow the identification of a precise technology that might be used to share information and help patients. Ms. Karin Kienzl-Plochberger provided a picture of the problem of the demographic change, indicating a political roadmap that might help in facing this problem becoming, everyday, more relevant. After the coffee break, the project partners discussed with the politicians from several countries on their experiences with telemedicine concepts, their expectations from this type of solutions and the future of teleassistance in their countries. At the end, Ms. Olga Štěpánková and Mr. Peter Brezany provided a short résumé of the conference, thanking the participants and said goodbye to all.